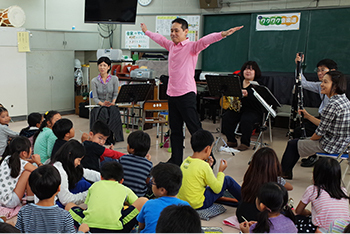 The New Japan Philharmonic develops various educational and social activities such as music promotion activities for young people and performances at welfare facilities. Since the birth of the New Japan Philharmonic Orchestra in 1972 as an independent orchestra, we have been striving to disseminate and develop Japanese art culture. 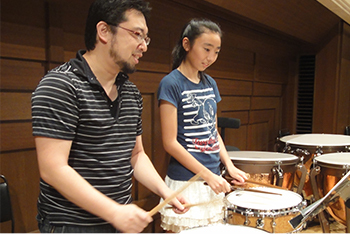 Furthermore, moving Sumida Triphony Hall (1997) and the base to the same hall was a major impact in implementing various community programs. By gaining the center which is the center of activities, we have acquired the nucleus of the community and the area where we implement the community program, the connection with the community has been further strengthened, which has also led to the cognition and existence significance of the orchestra. Currently, we have expanded the range of its activities to Tsu City, Mie Prefecture and Kani City, Gifu Prefecture, centering on Sumida Ward as a franchise. 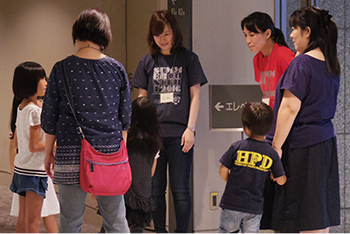 Thanks to Sumida 's commitment to ongoing community and programs, it has also led to the contents that can respond to requests from regional city bases. Among the roles the orchestra plays in society and the community in the future, the possibilities of music art and the orchestra are spreading to the utmost. The New Japan Phil will continue playing the music that reaches the hearts of everyone as an orchestra that nurtures the community and brings resonance between people.